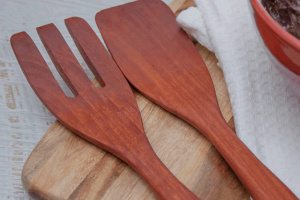 3woodsdesigns specialise in a range of wooden kitchen utensils that are of a very high quality, each one handmade and inspected by our craftsman to ensure they will last and produce the best results. 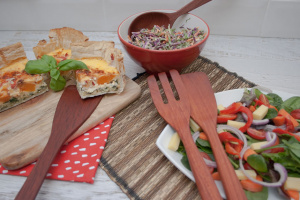 Our utensils are made the highest quality Australian hardwoods. 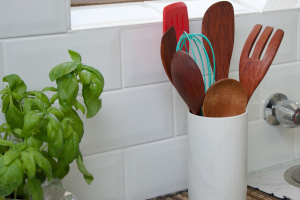 Our kitchen utensils come in either Sheoak or Jarrah and are beautiful to display and use and will help you product the culinary masterpieces you desire. 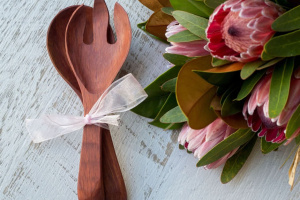 We create a range of wooden utensils including: Wooden Serving Sppons, Wooden Salad Servers, Wooden Coffee Scoops, Wooden Rice Spoons, Wooden Salad Hands and more. You can purchase our kitchen utensils directly from this site or visit us at one of the markets to see them up close. You will not be disappointed.